Colorful local co-op game Gelly Break has been announced for Nintendo Switch. The game, developed by ByteRockers’ Games and published by Wild River, arrives this Fall at retail and Nintendo eShop. Evil Blob plans to take over the planet Gelly, and it’s up to two cute little Gellies – one orange, and one green – to stop him. Couch co-op means that players can master the levels and fight against crowds of enemies together. Solo players take control of both Gellies at any time as one unit. Colored obstacles give Gellies trouble on their way to Evil Blob. Only Gellies of the same color can interact with these objects and platforms. Gellies can also fuse to access additional abilities, or ride piggyback on one another so they can circumvent colored objects they don’t match with. Tricky passages and enormous bosses require clever teamwork, but adaptable difficulty means people of all ages can enjoy Gelly Break. 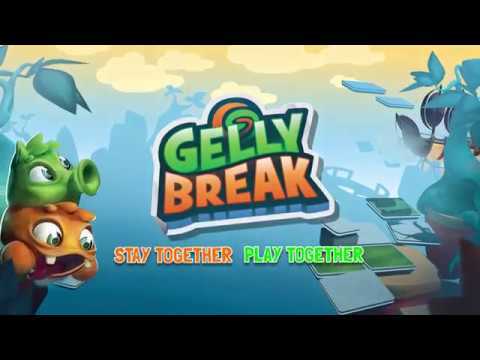 “Gelly Break aims to bring friends and family closer again, so they can play together instead of alone,” says Maik Reichelt from ByteRockers’. But don’t worry: Gelly Break is a fun platforming experience for all ages, whether playing alone or with friends.